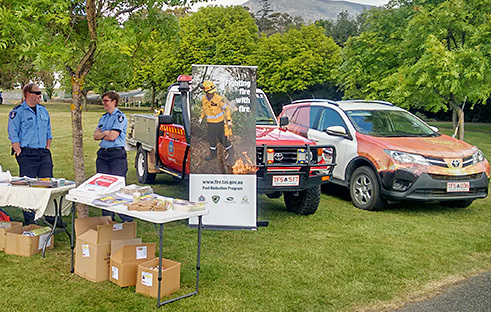 The Tasmania Fire Service delivers a broad range of programs to improve the safety of people in the community with a focus on those most at risk from structure fire or bushfire. These programs aim to prevent fires and minimise the impact of any fires that do occur. The Community Fire Safety Division focuses on delivering programs that improve fire safety in homes, workplaces and other locations such as healthcare facilities and schools. Targeted risk mitigation initiatives were undertaken with a wide range of identified risk groups, including children, elderly people, people with disabilities living in the community, workplaces, and remote and isolated communities.